Oklahomans who want to follow the money and other news from the State Treasurer's Office can now do it on Twitter, State Treasurer Scott Meacham announced today. The treasurer's Twitter identity is OKTreasurer, Meacham said, which can be found at twitter.com/OKTreasurer. "In 140 characters or less, we will keep you up to date on activities in the Treasurer's Office," Meacham said, referring to the short message limit on postings on the popular social media site. "We will also provide links in our tweets to more detailed information." Meacham said Oklahomans deserve open communication from their government. 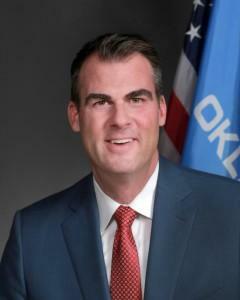 "I would invite all Oklahoma Twitter users to follow 'OKTreasurer' to stay informed on state revenue, unclaimed property, the Oklahoma College Savings Plan and other important information," he said. Visitors to the treasurer's web site, www.treasurer.ok.gov, can access the Twitter feed by clicking on the Twitter icon on the treasurer's home page.